Dear friends! 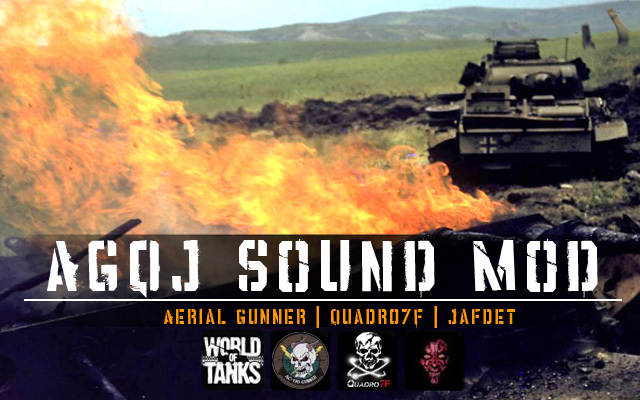 Team players AGQJ offers you sound modification of almost all the sounds in the game World of Tanks – the sound modes “AGQJ Sound Mod”. This mod makes the sound more intense atmosphere of the game, highlights energetic tempo and lets look at the World of Tanks in a new way! Make backup copies of folders: audio and sc ri pts. Audio folder from the archive copy to … \ World_of_Tanks \ res \ audio, agreeing to replace files. Scripts folder from the archive copy to … \ World_of_Tanks \ res \ sc ri pts, agreeing to replace files. 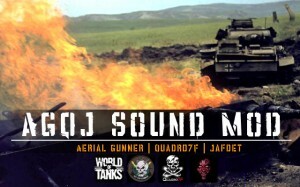 download the historic gun sound pack or copy and paste the audio folder n the res folder to your 8.x.x audio folder. to keep the original gun sounds. Once you do it yourself you'll get it in no time. It's very easy to be honest. Depending on mod you may be told to copy mod contents in to "res" folder... Before you ever do make a backup copy!!! Otherwise you'll end up roaming the forum looking for original game files to download or at best re-installing entire game.! The tog2 engine sound when you are in sniper mode sounds very wierd…. Tks man! You are a saint i know that? The game sound really good now! crashes to the desktop…typical crap mod coding.. This sound mod is excellent but no longer works with the latest 8.11 update! does this mod work with 9.1?